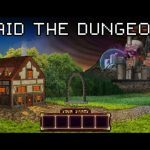 Soda Dungeon adds a bit of levity to the RPG genre, particularly dungeon crawlers, and currently it’s available for iOS devices only. This Armor Games title allows you to play the role of a tavern owner who sends fighters off to the dungeons to fight and loot, and upgrades his/her tavern with whatever the fighters bring back. You can also upgrade your heroes in a number of ways, but regardless of the type of upgrade you’re planning, the most expensive are the so-called VIP upgrades. One of the good things about these upgrades is that they can expedite the time it will take to get you to the portal, which will allow you to start something similar to a new game, only with more advantages on your side. So if you’re wondering how you can unlock VIP Mode, today is your lucky day – our latest Soda Dungeon strategy guide is all about unlocking this mode and entering the portal. 1. When Do You Unlock VIP Upgrades? It’s going to take you a while to be able to do that, but once you’ve beaten Level 50 in the dungeon, these upgrades will become available. Fortunately, it’s surprisingly easy to beat Level 50, so all you need to worry about here is time; just be patient and you’ll get there. 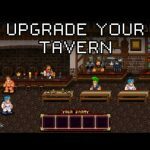 Once those upgrades are unlocked, you can then go to the tavern keeper and hit the VIP screen to check your options and do some shopping around. Be warned, though, that you may have to do a lot of window shopping – some items are affordable enough, but others carry really hefty, premium price tags. 2. What Should You Buy? There are several worthwhile items you can buy at the VIP store, including Gnomes, which will help gather essence for you while you do the dirty work and do the fighting in the dungeons. The Magic Well lets you convert gold into essence. It’s also possible to inherit some gold through the VIP store, while stables allow you to reinforce your team with pets. Then there’s Fury Xtreme. This soda will give you the power to attract Ragezerkers, who are the strongest warriors. The main thing you need to do to go through the portal is to beat Julius, the final boss who initially appears at Level 100. Take note that we said “initially,” as he will keep reappearing in subsequent dimensions. That means you’ll see him again at Level 200, Level 300, and so on, and you’ll have to beat him every time to open the door to the portal. 4. What Happens When You Beat The Portal? We’ve already discussed this in a previous strategy guide, but just to jog your memory, entering the portal will restart your game, taking away your equipment, gold, and soda upgrades. Your tavern upgrades will remain, and you’ll also be able to earn relics that power up your party members (or everyone in the party), and essence to power those relics up in turn. Additionally, you lose VIP Mode unless you’ve got the portal warp upgrade that adds at least 100 to the levels you’re able to warp to. Now, in case you need more Soda Dungeon tips, tricks and cheats to suceed in this immersive new game, we have good news for you. 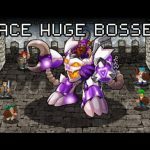 We’ve been covering this game for a while, and shared some general hints on how to progress faster, as well as tips on how to form the best team and beat all the monsters in the game. Moreover, we provided some neat tricks on how to earn unlimited gold without hacking, so if you’re interested in getting a lot of gold, we suggest you to take a look at our dedicated Soda Dungeon cheats, tips and tricks guide.